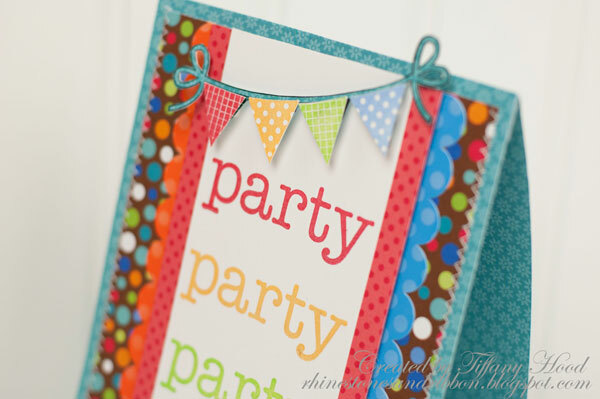 We have more great Doodlebug Stamps from Hampton Art Inspiration here on the blog today. But it doesn't stop there.... be sure to jump over to the Hampton Art BLOG this week to see what their design team created with these stamps and our Doodlebug papers too!! Enter another yummy giveaway today by going over to the Hampton Art Facebook page and leaving them some love from the Doodlebug fans! If you're not on Facebook then visit their blog and leave a comment there. Come back and tell us what you did! I like the look of paper piecing, so here I stamped the banner several times and cut out each piece to make a multi-colored pennant. 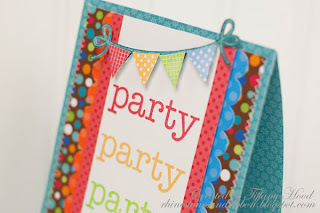 Then I stamped the sentiment multiple times to add lots of fun color! One of my favorite things to do with stamps is to stamp on white cardstock and cut out the image. 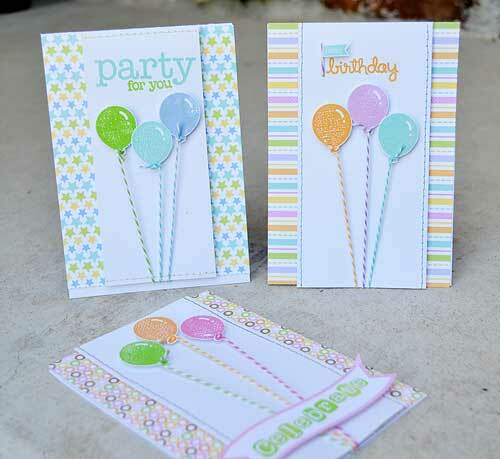 That’s how I made this card set- stamped the balloons on white cardstock, cut them out, and then added them to a card front with pop dots! Went and visited the Hampton Art Facebook page and left them many thanks for collaborating with ya'll to make your cute images into stamps!! I am such a big fan! These cards are so cute! I commented on the bookmark post at Hampton Arts blog. What super cute party cards love the Balloons and the Banners they are Awesome. the colors and the Details are Amazing. thanks for sharing and for the chance to win. Love the first card!!! Super fun colors and design. Left a comment on Hampton Art's FB page. Very cute cards! The bright colors on the first one are my favorite. Liked and left a comment on Hampton's FB page. Thanks for another chance to win! Said hi to Hampton Art from you. I love the cards today--they are just adorable! I am not on facebook, so I went to the Hampton Arts blog and checked it out! Loved the bookmarks from yesterday! Great cards today! I love seeing all the projects! I've been over and left a comment on the Hampton Arts blog. 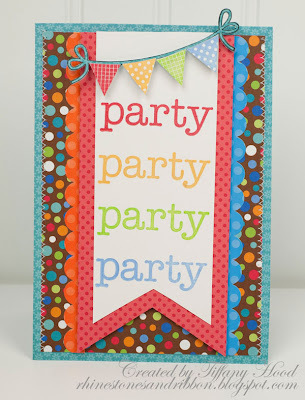 I love that banner stamp especially on Jessy's card. Left some love on Hampton Arts facebook page. Left a message on the Hampton Arts blog! Left some love on the Hampton Arts Facebook page. these are all so cute! I especially like the balloon trio of cards, you can change the color combo and tone of the card so easily. 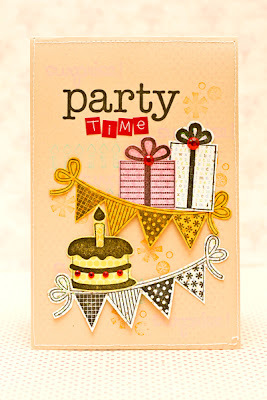 I adore these cards, liked Hampton Arts on Facebook and let them know how great the doodlebug stamps are! I spread the love at hampton's facebook! hampton arts wants to know if you need any more lemonade for the party? we have the stamps, do you have the drinks for the party on FB ? Love the party balloons. Such cute cards. Sent some love on Hampton Arts FB page. Love Wendy Sue's cards! Love these Doodlebug stamps. The cards are so cute and fun. Also, gave Hampton Arts some love on their FB pg. Love these stamps! I visited Hampton Arts FB and left them a comment.